Rick started working nights at Auditory Odyssey Records and Tapes to save extra capital for his next business venture. There he developed many long lasting relationships with artists, musicians, creators, and the like. One relationship was with a group of glass blowers that had been traveling with The Grateful Dead. After the death of Jerry Garcia the band stopped touring, the artists had lost their community and market. They were able to sell small amounts of wares through Auditory Odyssey and other local headshops, but Rick saw a bigger opportunity where no one else did. He wanted to give the artists a permanent home, and dedicated himself to reselling their pieces. He formed Crush Glass to distribute the pieces far and wide, and business immediately exploded. There had been a void in the water pipe market for unique, innovative, and functional designs. Rick’s very first customer is now his oldest and most successful partnership. Rick’s philosophy can be summed up in one simple statement; “Focus on the long term.” This elegant ideal is the basis for all of Rick’s business practices. Now a devoted husband and father of two, Rick’s focus has turned toward the future of the cannabis industry. Having always been active in medical marijuana lobbying and activism, keeping close relationships with key players, he’s helped the cannabis world move forward. With legalization spreading across the country, new markets are opening up daily. As Crush Glass remains the leader in functional glass art industry, Rick is pushing to legitimize this underground art form, bringing it into the mainstream. To know more about the products, or the company, contact Rick Plank at (818) 252-4300 or click through to one of their websites listed below. All borosilicate glass construction, made strong and heat resistant! Buyers need to be 18 years old and over please. Items intended for tobacco use only. Each piece is hand made right here in the U.S.A. by skilled craftsmen (and women!) and are each individual works of art. So please, expect some minor variations in your personal piece! 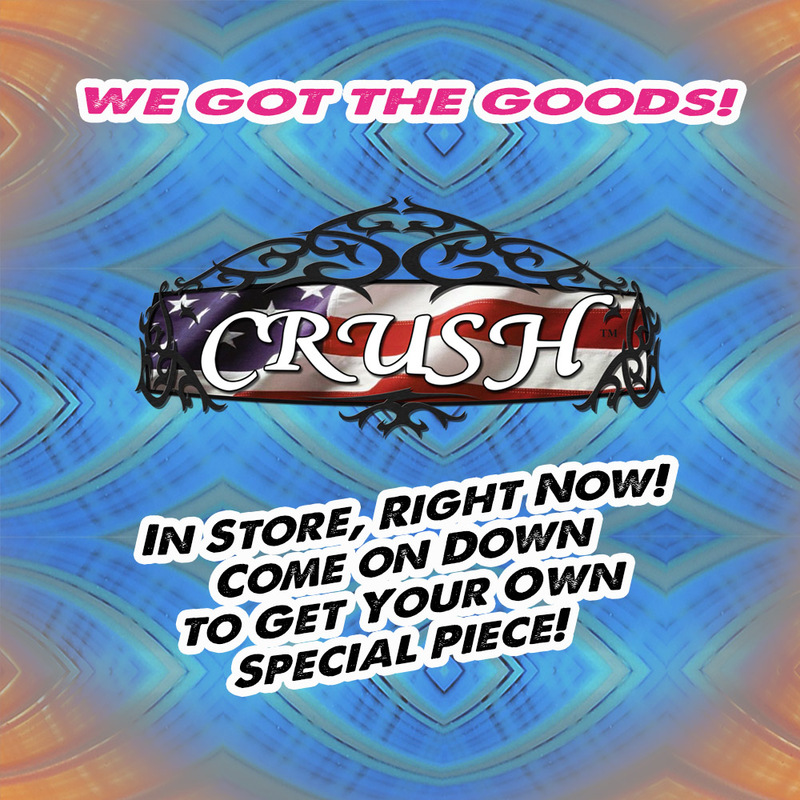 Crush Glass Shop Poster PDF Carry Our Products? Let your customers know online and in the store! Print and hang! Post it too! In Store Instagram Promo Download and post to you own account when your orders come in! Available as both the flattened JPG or a zipped Photoshop file to make your down. 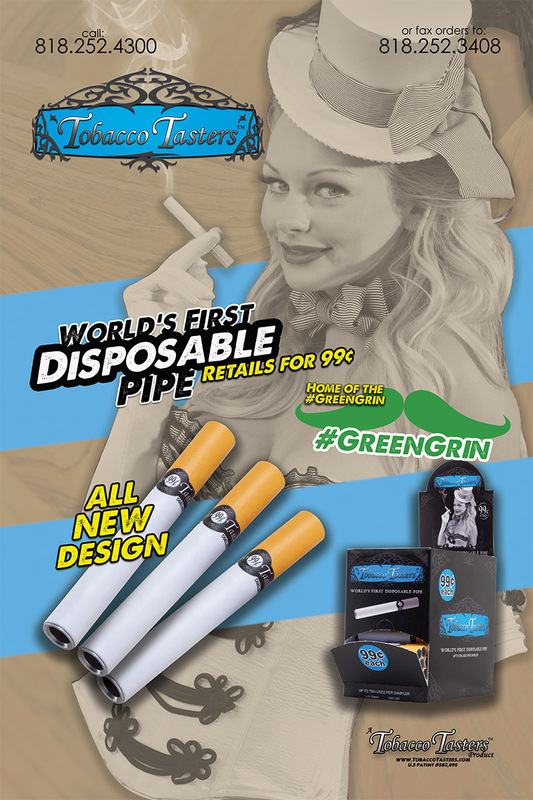 Tobacco Tasters One Sheet PDF Download and Print this PDF to hang in your store!